Built by Frank Dux, Flemingweg, D-40591 Düsseldorf, Tel. : +49 177 371 8012, Germany in June 2014, and heavily updated in 2018. This site is a small service to plan an event/meeting/reunion/etc online and with respect for data privacy. Drop me a line for comments or improvement suggestions. Click here to create your own event. You enter some basic data, such as a title (e.g. 'Barbecue'), where (e.g. 'in the park') and when (e.g. 'Saturday afternoon') you want to meet. If you set a maximum number of responses, no more 'Yes' answers are possible when reached. You can also disallow 'Unsure' answers. You will get a unique, random, non-guessable link which leads to your invitation. 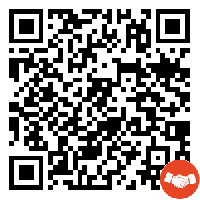 Share this link to your friends via email, QR-code or Facebook. Your friends can state if they'll join or not. You will also get another unique, random link to administrate your invitation, e.g. set some details or delete it. On the main page (respondio.net), you will see links to previously visited events, if you have saved the acess data locally. You can delete (❌), archive (↷) or unarchive (↶) this access data, or even administrate () the event if you have the administrative access data. Give your feedback via one of the feedback buttons. If needed, add a comment (✍). By using this site you agree to the usage of cookies. You can remove or block cookies by adjusting your browser's settings. Like this site? I'd be happy to receive some donations to keep this site going. Freezing an event: There will be a functionality to lock an event in such a way that no new answers are possible.